The journey to become King of the Pirates! 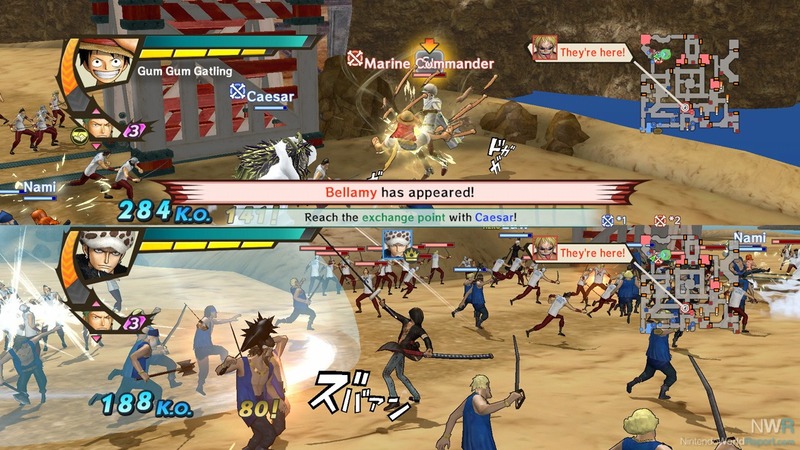 One Piece: Pirate Warriors 3 Deluxe Edition is a beat ‘em up that caters to both die-hard One Piece fans and those who have never heard of the series before. It was originally released for the PS3, PS4, PS Vita, and Microsoft Windows back in 2015 with the deluxe edition being released early 2018 exclusively for the Nintendo Switch. The main difference is that the deluxe edition comes with all of the DLC missions and costumes already included. The story follows Monkey D. Luffy, a rubber human who aims to find the legendary One Piece and become the King of the Pirates. On his journey, he encounters many friends and enemies that allow him to grow stronger to one day achieve his goal. 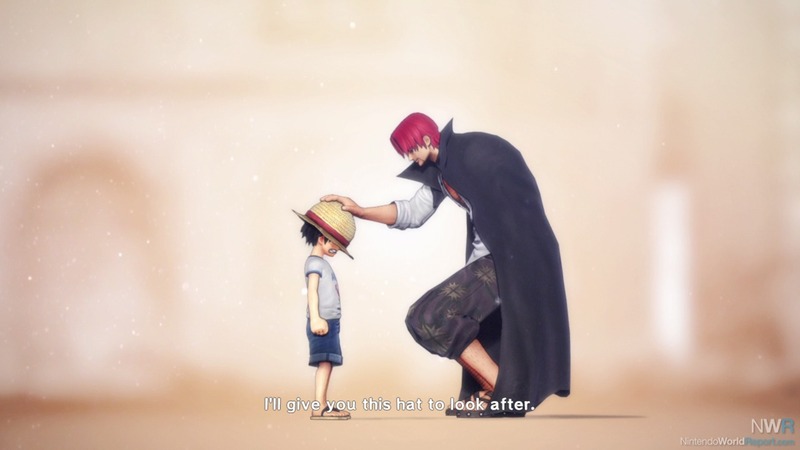 The story is mostly based on the major plot points that occur in the One Piece manga only with a few minor changes such as certain enemies appearing earlier in the timeline, characters not wearing the right costumes at the time, and certain events being glossed over. However, this isn’t much of a problem since the game is more a brief summary of the story rather than an exact retelling. The three available modes include Legend Log, Free Log, and Dream Log. Legend Log is the main mode in which you progress using the Straw hat crew to replicate what happens in the story. The Free Log is the same as the Legend Log, except that it allows you to play as any one of the unlockable characters. Dream Log is a somewhat area mode in which you participate in semi-randomized battles to unlock certain characters and items. The unique thing about the Dream Log is that after completing the final level, you unlock Nightmare Log which essentially a hard mode. Throughout each level, you’ll play as one of the 37 available characters and be tasked with defeating large hordes of enemies, capturing territories, and defeating strong enemies. A various amount of side quests are available in each level that unlocks special cutscenes. Surprisingly enough, the game runs quite smoothly. Even when surrounded by hordes of enemies or playing the games Co-op mode, the Switch never lagged behind and was able to keep itself at its peak performance. Another thing that personally amazed me was how well they were able to capture the One Piece art style and translate it to 3D models flawlessly. The wacky designs and facial expressions of each character were perfectly replicated. The music that accompanied each level was fantastic and really set the mood for each battle with its impressive use of guitar riffs and brass instruments. I only encountered a few minor issues throughout my playthrough. The most persistent one was the frequent interruptions caused by the various cutscenes in the level. 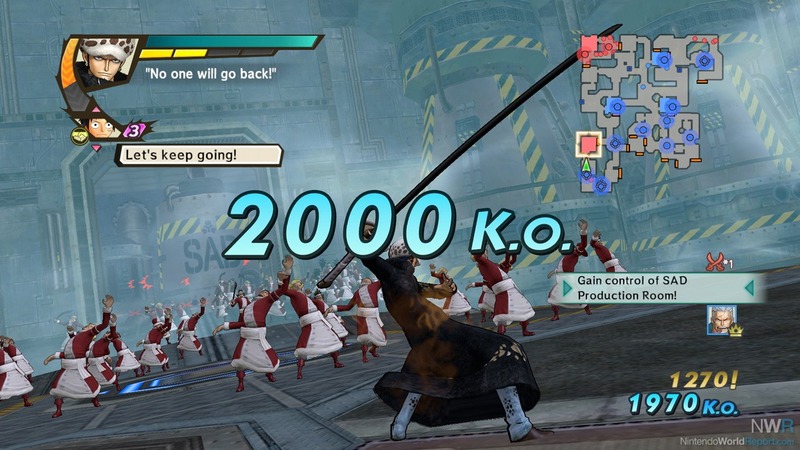 While they do provide a warning before each cutscene by making a speech bubble appear over your characters head before switching, it still interrupts the flow of battle. Another frustration is that the game is heavily reliant on grinding to make progress in the Dream Log. The enemies strength increases dramatically as you progress and while mastering your controls and knowing your environment help, it can only get you so far. Finally, some might find the length of each level a tad bit long as they contain a large number of missions before you can move on. It would take me approximately 20-30 minutes to beat each level depending on its map size and how many missions the level contained. One Piece: Pirate Warriors 3 is still as enjoyable now as it was back when it first released and is a fantastic addition to the Switch library. While no physical copy is available, this is definitely one game that you should make a point to purchase from the eShop.